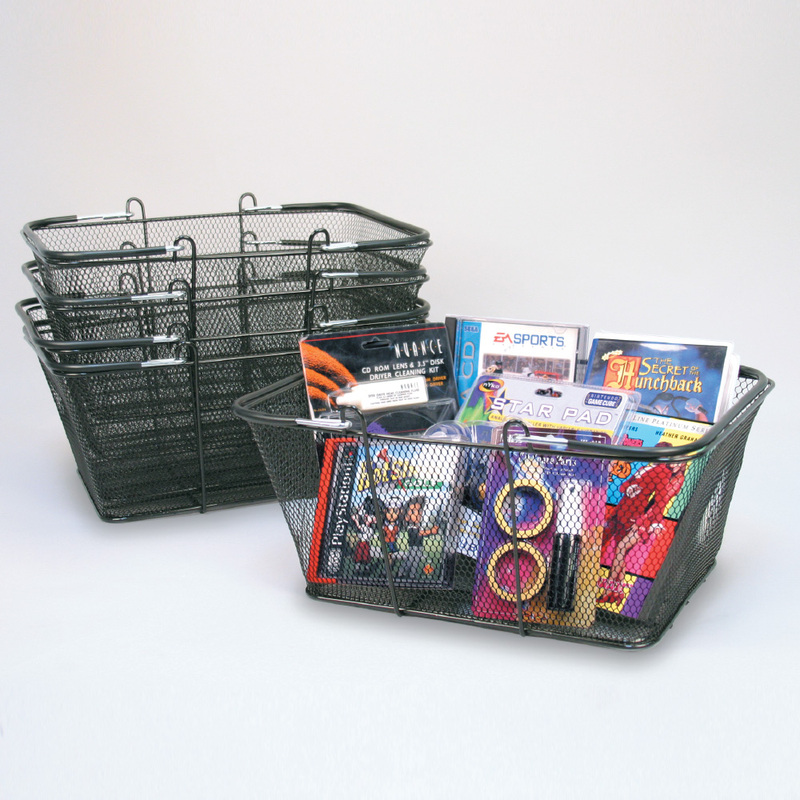 The Mesh Baskets will keep your customers shopping. Attractive wire shopping baskets have a 12 gauge handle that will hold the heaviest loads. Add a Basket Stand to hold baskets neatly together, search item 3516. Optional sign sold separately, search item 8524. We encourage you to spend some time viewing our complete variety of shopping baskets at Specialty Store Services today.